OTTAWA — The fallout from Saudi Arabia’s move to punish Canadian companies was felt within a month of the countries’ sudden diplomatic feud last summer, leading to visa rejections, a government ban on food from Canada and a blockage of shipments at the kingdom’s ports. A newly released federal document provides a close look at Saudi Arabia’s retaliation against Canada, following criticism by Foreign Affairs Minister Chrystia Freeland on Twitter of the regime’s arrest of women’s rights activists. Angered by the public condemnation, Saudi Arabia suspended diplomatic ties with Canada last August, expelled the Canadian ambassador and recalled its own envoy from Ottawa. The kingdom also stopped future trade and investment deals, cancelled grain imports and said it would shut down lucrative scholarships for its citizens to study in Canada. The Saudi central bank and state pension funds started selling their Canadian holdings. A briefing note to International Trade Minister Jim Carr offers more detail on how events were unfolding on the ground about a month after the start of the dispute. “It is important to note that over the last few days Global Affairs Canada has been learning of concrete actions taken by Saudi Arabia against Canadian companies across various sectors,” reads the memo, released this week to The Canadian Press under access-to-information law. — Requests for existing contracts to be replaced by new contracts with non-Canadian suppliers. — Denial of access to military bases. — Re-routing of flights for product supplies. — Prevention of a Canadian company from importing and selling medication. — Government ministries issuing orders to ban food and medication from Canada. — Various shipments from Canada being completely stopped at Saudi ports. The note was created last September for Carr in preparation for his meeting with members of the Canada Arab Business Council, who have interests in the kingdom. The additional details of the dispute with Saudi Arabia emerge as Canada tries to manage other, bigger trade-related challenges with its two largest partners, the United States and China. Saudi Arabia has previously been a key partner for Canada in the Middle East and, according to a separate internal briefing note, the countries had more than $4 billion worth of trade in 2017. That year, Saudi Arabia had $1.28 billion worth of direct investment in Canada, said the memo prepared for Finance Minister Bill Morneau after the crisis broke out. Scott Jolliffe, the president of the Canada Arab Business Council, said in an interview that Saudi investment in Canada ground to a halt last August. He also said Canadian firms have been restricted from bidding on new projects in the kingdom. On the other hand, he said things have mostly carried on as usual for those of his members who already had business in the country. Jolliffe also said he hadn’t heard of any visa refusals. He said he would like to see the impasse resolved because Saudi Arabia and the region offer billions of dollars’ worth of potential business for Canadian companies — and possible alternatives to the U.S. There’s a deep need there, he added, for the expertise Canada offers in areas like infrastructure, telecommunications and engineering. “At the moment, it doesn’t appear as if there is much going on to strengthen and rebuild the relationship,” said Jolliffe, who’s had meetings with Carr about the issue. The feud has had an impact on agriculture. Feed-barley producers, for instance, have been shut out of the Saudi market. “Any country we lose, even if it’s temporary, hurts us,” said Dave Bishop, a farmer and chair of Alberta Barley. He said Canada had been shipping about 122,000 tonnes of feed barley to Saudi Arabia every year — amounts that can sometimes reach 10 per cent of all Canadian exports of the product. This year, the industry has been lucky that feed barley is in short supply worldwide and extra demand from markets like China has helped make up for being shut out of Saudi Arabia, Bishop added. Asked about the status of Saudi-Canadian relations now, Carr’s office provided a statement that said he’s still disappointed with the kingdom’s response to Canada’s human-rights concerns. A few weeks after Carr received the memo, the kingdom’s relationship with Canada came under further strain — as did its relations with many countries — as details emerged about the murder of journalist Jamal Khashoggi inside the Saudi consulate in Istanbul. Adam Austen, a spokesman for Freeland, said Thursday that Saudi Arabia’s explanations for the killing have been inadequate and that Canada has called for a thorough, credible and independent international investigation. 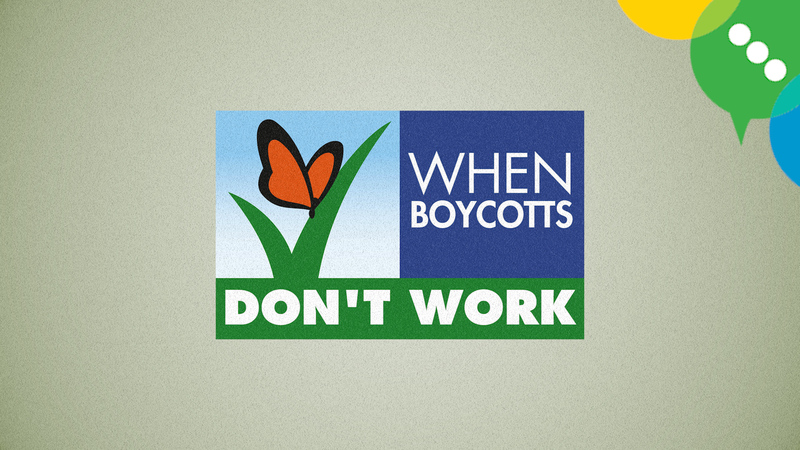 What do you do when you want to boycott something, but can’t? OTTAWA — Environment groups are calling out Canada’s approach to assessing pesticides after seven years of reviews led Health Canada to simultaneously decide to allow certain popular products to keep being used with restrictions, and to propose banning the same products from outdoor uses altogether. 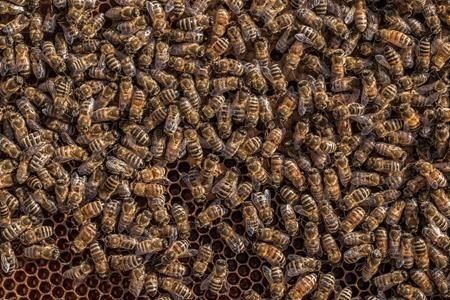 The Pest Management Regulatory Agency on Thursday released its final decision on what limits should be placed on a category of nicotine-based pesticides known as neonicotinoids to keep them from killing bees. Starting in two years, the pesticides won’t be allowed to be sprayed at all on certain crops like apples and tree nuts and there will be limited times when they can be sprayed on many others, like tomatoes, eggplants and berries. Products that have no alternatives are given an extra year before they are affected by the decision. The agency said the risks the products pose to bees in other applications, such as pre-treating seeds, are acceptable and only require new labels to warn of the dangers. Most of Canada’s canola and corn crop seeds are pre-treated with neonicotinoids, along with about half the country’s soybean seeds. However, this decision, which won’t begin to take effect until 2021, will likely be overridden in less than a year when the agency finalizes a separate assessment of the exact same products for their impact on aquatic insects. The agency found in 2016 that the most popular of the neonicotinoids was building up in ground and surface water and recommended banning it outright. It also launched a special assessment of the other two most common “neonics,” concluding in 2018 that they also needed to be banned. The very final decision on that won’t come until January 2020. “Right now this is strictly about the risk to pollinators and for this assessment not all uses pose an unacceptable risk to pollinators,” said Scott Kirby, the director general of the environmental-assessment division of the pest management agency. Lisa Gue, a senior researcher at the David Suzuki Foundation, said it is “disturbing” that the agency is continuing to allow neonicotinoids at all given that the agency’s scientists have concluded they cause unacceptable harm to any kinds of insects. “The decision-making process here is just incomprehensible and incoherent,” she said. Neonicotinoids are used by farmers and hobby gardeners alike to manage pests like aphids and spider mites. Scientists blame the chemicals for weakening bees, making them more susceptible to disease and bad weather. More than one-third of the world’s food crops require pollinators, like bees, for production. The European Union banned neonicotinoids at the end of last year after scientists concluded there was no safe way to use them without hurting bees. In 2017, a task force at the International Union for Conservation of Nature updated a compilation of more than 1,100 peer-reviewed research studies of neonicotinoids and concluded there was no doubt they harm bees.